If you need to recover the data that has been attacked by the virus on the USB, then you can take advanteage of this application. With Shortcut Virus Remover, you can restore your data as it is even when you see the shortcuts of your data in place of the original file. This application utilizes a mixture of old and new techniques to help you in data restoring. It can eliminate the virus from your USB completely. Moreover, you can also have this application to keep your computer safe from the attacks of the shortcut viruses. So, it is not a reactive application only; instead, you can also use it as a proactive application to protect your USB and data. Visual basic.net is the programming language used for the creation of this application. So, you can consider it one of the safe tools for this purpose. The changing of specific settings of Windows to keep the virus out of your system and USB along with the restoration of parameters that have already been changed by the virus is amongst some of the other features of this application. Additionally, enabling and disabling of Command Prompt, Task Manager, Run Dialog and other such programs of your computer is also possible through Shortcut Virus Remover. You can also expect it to create an in built-in portable antivirus for your system. All you need to do is to download this application on your system, and all such features would be activated. 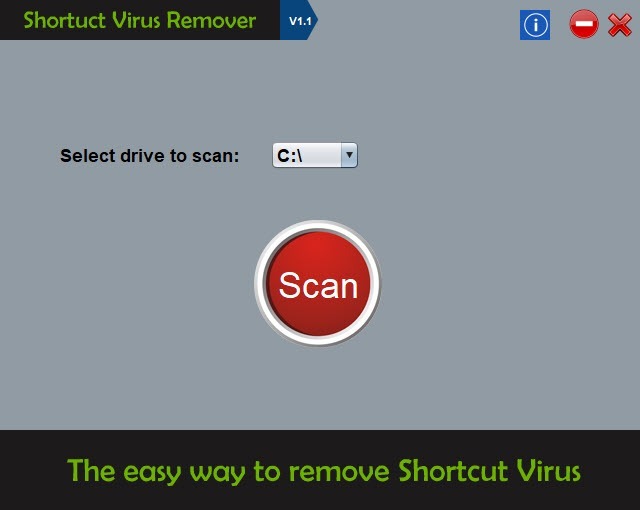 Shortcut Virus Remover is an application that can eliminate the shortcut viruses from your system and USB and will help you in the restoration of your data.